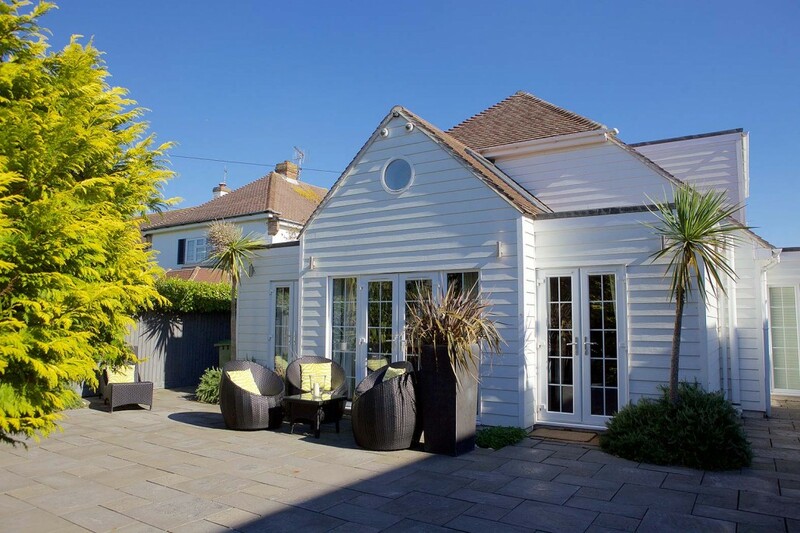 The Hamptons Beach House is a large New England style beach house, situated on the leafy Westfield Avenue. 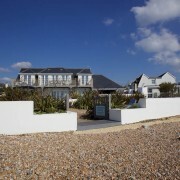 This boutique accommodation has been thoughtfully designed to high standards, is available for private catering family holidays for up to 14 people. This spacious property boasts a luxurious sitting room complete with deep Duresta sofas, a driftwood fireplace with a gas fire for the colder months, and 6 bedrooms, all with ensuite bath or shower rooms. The large open plan kitchen is well equipped for those wanting to do some home cooking, and features a range cooker and double fridges. Outside, there is a private decked garden, home to palm trees and plenty of external seating, including sofas and sun loungers. 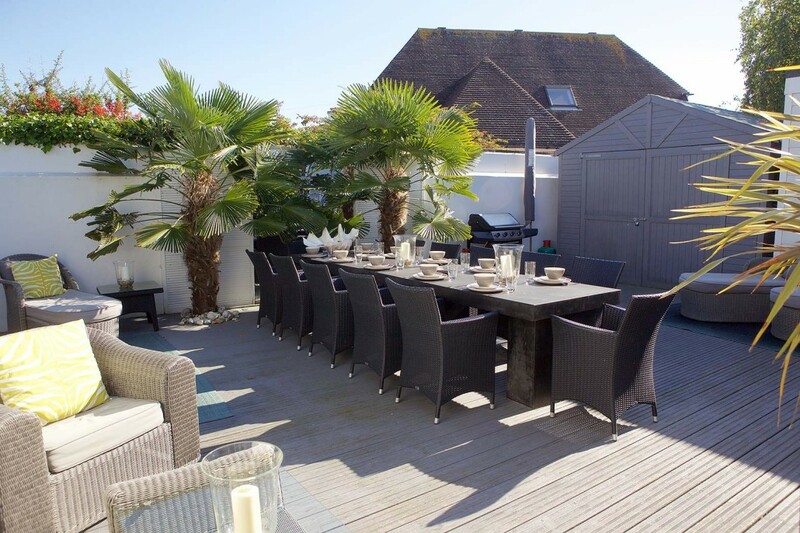 Beautiful outdoor dining furniture makes eating alfresco a pleasure, and the seven seater hot tub is kept at 38 degrees all year round. 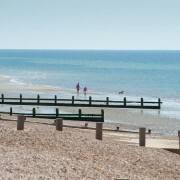 The Hamptons Beach House is a three minute walk from the dog friendly beach, which is sandy at low tide. 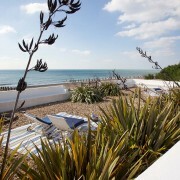 This stylishly designed boutique accomodation is perfect for those looking for a private, relaxed break near the sea.